With a history of 5,000 years, and possessing a shining heritage of an ancient culture and civilization during different ages, Yazd is a glorious ancient city in the heart of Persian history located 270 km (170 mi) southeast of Esfahan. According to some historians, the original foundation of Yazd belongs to Alexander the Great who ordered the constructing of a prison, after his conquest in 331 B.C. On the other hand, some historians believe that the name was derived from “Yazdangerd” belonging to Yazdgerd I (339-421 A.D) in the Sassanid era. 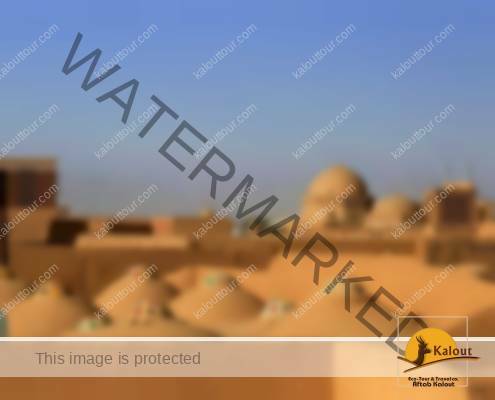 Literally, “Yazd” means “holy, auspicious and worship-worthy.” Greek historians have called it “Isatis” which had been founded after ruining the ancient city of “Katteh”. After the appearance of Islam, the name of the city changed to “Darol’ebadeh” which means “place of praying”. This area has been counted among the important passages periods throughout history. Fortunately, because of its climatic features, it remained safe from violations and wars during Iran’s critical period particularly during the Mongols invasion. Moreover, arduous road and shortage of water sources have been major hindrances of conquering it by any inside and outside invaders. Yet, Yazd could be considered a rich city of all times hosting signs of Mithraism, Zoroastrianism and Islam in every corner.